Unless you’re from Japan or lived there, chances are you didn’t know the existence of Fukushima until the disastrous earthquake and tsunami ignited a crisis at the prefecture’s nuclear power plant three months ago. But Professor Takayuki Takahashi and his research team from Fukushima University want the world to know that there is more to the area than distressed reactors and hot zones. Professor Takahashi and his colleagues were in New York last week for the Medical Design and Manufacturing (MD&M East) exposition held at the Javits Center. 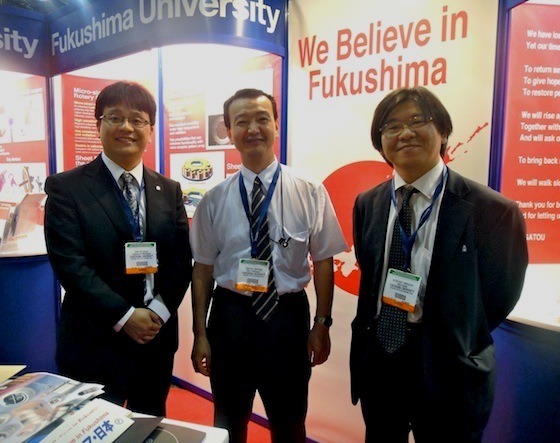 A trade show that bills itself as “the medical industry’s face-to-face resource for project acceleration,” MD&M East provided a platform for Professor Takahashi to show what he says is Fukushima’s real strength. 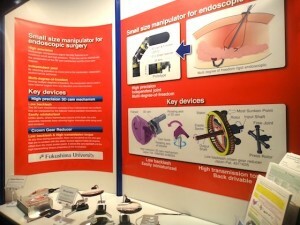 At MD&M East Professor Takahashi and his team introduced four medical technologies: A 3D CAM and a speed reducer for a small manipulator used in abdominal surgery, a sensor that precisely measures angles, and a rotary encoder that is used in CT and PET scans. These technologies make up a prototype actuator, a new mechanism that theoretically reduces backlash (vibrations), allowing for more steady and precise surgeries. The 3D CAM and Crown Gear Reducer currently have Japanese patents, and the group is applying for a worldwide patent, which Professor Takahashi says could take up to one year to complete. In the meantime, the work of this team of roughly thirteen researchers (from four universities in Fukushima and Japanese companies) is one of three sections of a project supported by the Ministry of Education, Culture, Sports, Science and Technology of Japan. Through this project, the team is developing a new generation of medical devices. Professor Takahashi and his colleagues are looking to partner with other companies around the world to raise funds for the project, which Professor Takahashi says is 60 to 70 percent complete. Their research was delayed two months because of the tragedy in northern Japan. Located 60 kilometers (37 miles) from the embattled Daiichi Nuclear Power Station, Fukushima University did not sustain structural damage as a result of the earthquake or the subsequent tsunami. Instead, Professor Takahashi’s project was stalled because students left the university to return to their hometowns and the logistical issues of transportation and lack of fuel impeded the laboratory’s ability to receive shipments of parts and other supplies. 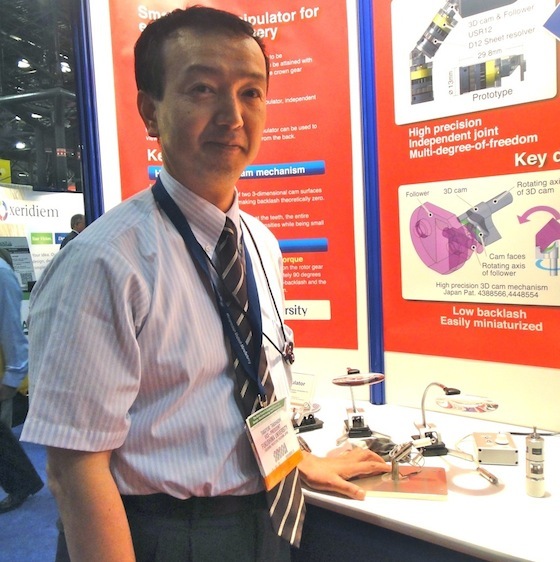 Professor Takahashi; Associate Professor Hiroyuki Sasaki, developer of the Crown Gear Reducer; and Professor Katsuhiko Yamaguchi, developer of the rotary encoder; agreed long before March 11 to attend MD&M East. However, Professor Takahashi says they considered scrapping the trip to New York out of respect for those who lost everything. Then the group decided it has something to prove. 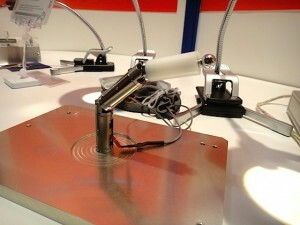 Fukushima is recovering and is a leader in medical technology. As for Fukushima itself, Professor Takahashi says that daily life outside of the evacuation zone is returning to normal. While he admits that there is not enough education about radiation, he enthusiastically maintains that he feels safe. 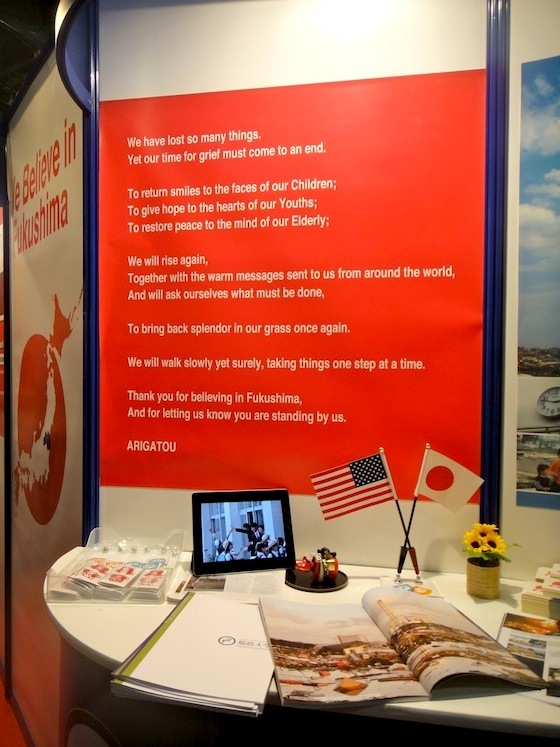 It is good to hear all the wonderful things about Fukushima City. But I write to ask about a friend of my Mother’s. My Mother, Kay Vilen, coached the Santa Clara Aquamaids and took the team on several trips to Japan. During one of those trips she met a man from Fukushima City who was very kind to her and the girls on the team. She spoke of him when she returned home. Tetsurou Watanabe, 4 yuno-kanze Iizaka Fukushima-City Japan. If you know him, or can find him, please offer the appreciations of Sydney Vilen, daughter of Kay Vilen who coached the Santa Clara Aquamaids, and thank him for his kindness to my Mom. Other Japanese friends of my mom: Dr. Takahashi who headed a psychiatric hospital in Nagoya (I think) and Dr. Saburo Kitamura of Tokyo who was chairman of Japan Swimming Federation. Because we are all one human family. Thank you.